Top Rated Statistics Tutors in San Francisco, CA! Welcome to San Francisco’s top-rated private statistics in-home tutoring service! 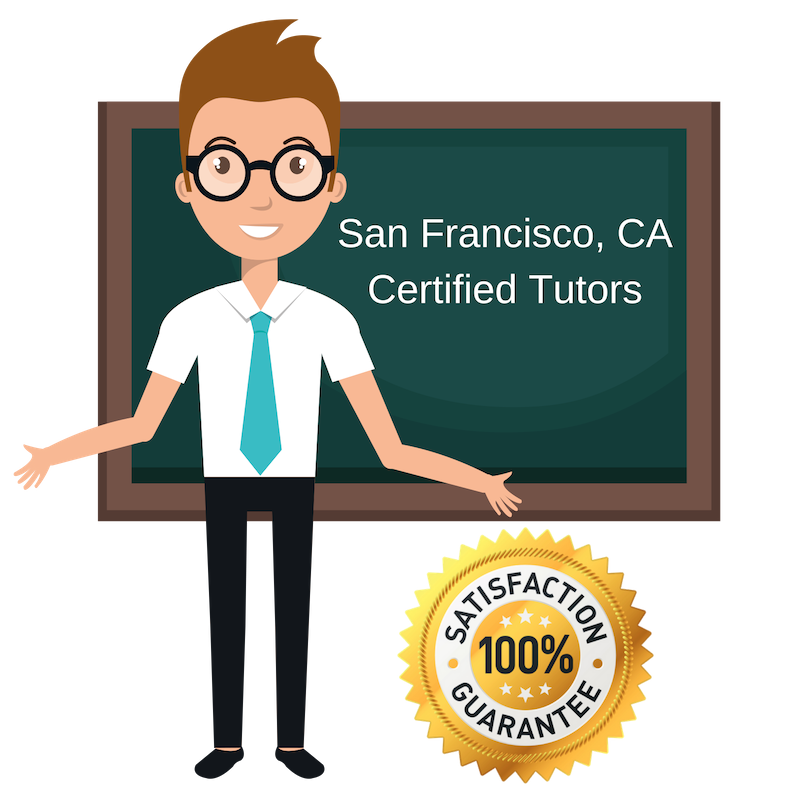 All of the following San Francisco statistics tutors are certified by Varsity Tutors, the leading tutoring agency in the country! All San Francisco statistics tutors have been background checked, been interviewed, had mock statistics tutoring sessions, and been trained by professionals. We guarantee you will love your local San Francisco statistics tutor or your money back! Get information regarding a top-rated statistics tutor today! I am a teacher and private tutor currently working with students in San Francisco, CA. I am available to tutor in statistics, mathematics, and other topics as well. I have experience working with both adults and children and am comfortable tutoring all backgrounds. Previously, I was an undergraduate professor for psychology and a teacher for children with disabilities. I have also worked advising adults on time management, organization, and other such skills. As a tutor, I believe maintaining an open dialogue is essential for the student’s success. I look forward to working with new students and especially love helping children develop strong study skills. I enjoy cooking, amateur carpentry, weightlifting, hiking, sewing, and traveling. I am a passionate and friendly personal tutor living and working in San Francisco, CA. I enjoy tutoring students because I believe tutoring can make all the difference for a student to go from struggling to achieving and surpassing their academic goals. As a tutor, I try to maintain open, effective communication of ideas and concerns, and also work hard to ensure that my students find some enjoyment in the work they are completing. In my own studies, I completed a master’s degree in electrical engineering, from which I gained a strong understanding of physics and mathematics. I tutored throughout college and worked with high school students and graduate students alike. I am currently available for help in statistics. Ryunosuke Satoro said, “Individually, we are one drop. Together, we are an ocean.” This quote perfectly embodies the collaborative, teamwork-based approach I have to tutoring, teaching, and innovating. An environmental engineer myself, I am working as a private tutor in the San Francisco, CA area. I specialize in tutoring a number of topics, particularly chemistry. I love meeting new students, helping them develop study skills, and showing them how exciting the world of science, mathematics, and engineering can be. Personally, I am strongly interested in ocean conservation and environmental science. I hope to be a strong mentor for the young researchers and innovators who choose to work with me. I am a private tutor working in San Francisco, CA, eager to help individuals improve their understanding of and comfort with statistics. I have an approach to tutoring that is based on tackling problems from different viewpoints. I believe this ultimately results in a higher success rate of the students I work with because it allows an individual to pull on different strengths to solve a problem. As a student of computer science at Princeton University, I had many opportunities to exercise and tailor my problem-solving skills throughout my studies. Today, I feel comfortable sharing what I have learned with others. My goal as a tutor is to encourage bright new minds to pursue exciting careers in STEM (science, technology, engineering, and mathematics). Right now, I am a working as a software developer and private tutor in San Francisco, CA. I am available to help students interested in improving their understanding of statistics but am happy to help in other areas as well. As an educator, I have more than eight years of experience. I have worked as a mentor, tutor, and program specialist for the Boy Scouts of America. As a member of the scientific community, I have worked as a software developer and engineer, data scientist, and digital marketing manager. In addition to teaching and working in STEM, I also take part in school and community seminars and meetings as a speaker for leadership and education. Student-Tutor's partnership with Varsity Tutors makes it easy to find local world class certified tutors no matter where you live. Here are some other tutors in San Francisco. Let's Spark Bright Futures!